The Philippines’ anti-red tape drive gets another boost as 24 national government agencies are set to revoke respective regulations that are deemed redundant and cumbersome as part of effort to simplify procedures and lessen the cost of compliance for businesses and individuals. The 2nd Repeal Day, spearheaded by the National Competitiveness Council (NCC) will highlight government offices for their commitment to reform by repealing unnecessary regulations that adversely affect competitiveness of the country. Participating agencies include: Departments of Trade and Industry (DTI), Agriculture (DA), Energy (DOE), Transportation (DoTr), Interior and Local Government (DILG), and Information and Communication Technology (DICT). 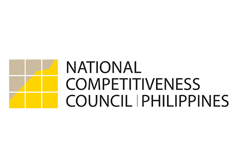 The Bureau of Customs (BOC), Bureau of Animal Industry (BAI), Civil Aeronautics Board (CAB), Civil Aviation Authority of the Philippines (CAAP), Commission on Audit (COA), Dangerous Drug Board (DDB), Games and Amusement Board (GAB), Land Transportation Office (LTO), Land Transportation Franchise and Regulatory Board (LTFRB), Manila International Airport Authority (MIAA), National Food Authority (NFA), National Meat Inspection Service (NMIS), Office of Transport Cooperatives (OTC), Philippine Overseas Employment Administration (POEA), Philippine National Police (PNP), Philippine Ports Authority (PPA), Sugar Regulatory Administration (SRA), and Tourism Infrastructure Economic Zone Authority (TIEZA) are also repealing or delisting rules and regulations to simplify procedures for business. During the 2nd Repeal Day, 1,062 issuances, mostly Department Administrative Orders, Memorandum Circulars, and Office Orders will be covered. Ten will be subject to repeal while 138 will undergo amendments, 18 will be consolidated and merged, and 896 will be delisted from the roster of active issuances. To date, a total of 33,902 issuances have been submitted by more than 70 agencies to the Project Repeal Technical Working Group for review and possible repeal. These issuances are undergoing review on a continuing basis, with those passing review scheduled for repeal, amendment, consolidation, or delisting at Repeal Days scheduled twice a year. Among the significant regulations that have been amended or repealed include LTO Administrative Order 2016—034 which extends the validity of drivers’ and conductors’ licenses to five years and BOC Customs Administrative Order 02-2016 which increases the de minimis value for imported goods.